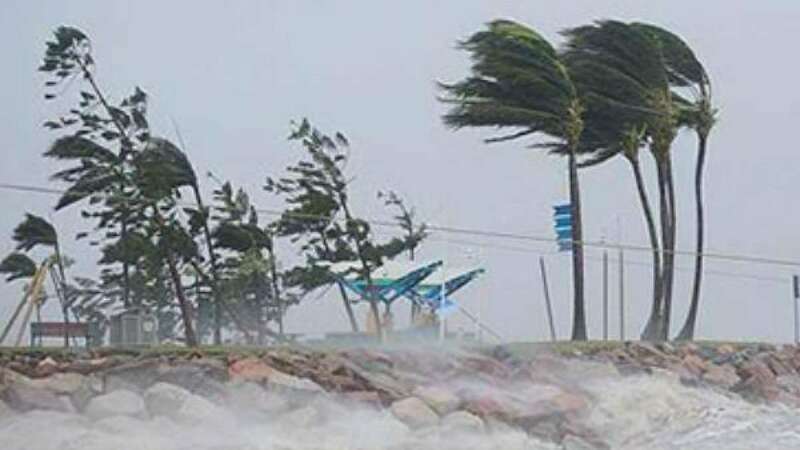 Chennai : Cyclone Nada weakened into depression and made landfall near Nagapattinam in Tamil Nadu, said MeT Department. Heavy rains upto 4 cms in Cuddalore, Puducherry and Nagapattinam are likely while Chennai will receive moderate rainfall, the weather department has said. 1: A team of the National Disaster Response Force or NDRF has reached Karaikal. "We've also got ready many schools as temporary relief centres," said Deputy Collector Kesavan. 2: NDRF teams have been posted in Cuddalore, which is about 20 km away from Puducherry. 3: Met department has said that heavy rains are likely but it is unlikely to be as intense as the Cyclone Thane that had hit Cuddalore a few years ago. 4: The Navy said it has "assumed high degree of readiness". 5: Schools will today remain closed in Tamil Nadu's northern coastal districts like Chennai, Nagapattinam and Cuddalore and in Puducherry. #CycloneNada further weakens, making landfall in Tamil Nadu: Met office.